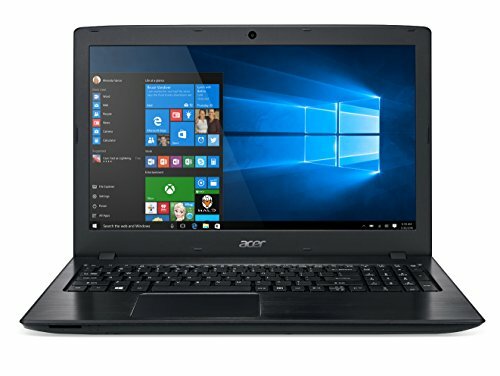 Acer Aspire E15 E5-575-33BM Laptop Review - A Solid Budget Laptop! Gone are the days, when the terms such as premium, sleek, stylish, and attractive were meant only for the high-end laptops. 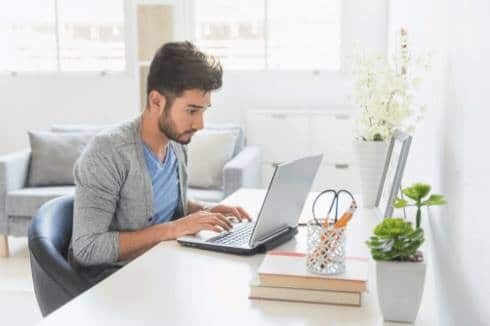 With almost all the laptop makers understanding the demand for budget-friendly laptops, started to bring their portfolio of laptops at lesser prices to meet the requirements of an audience. 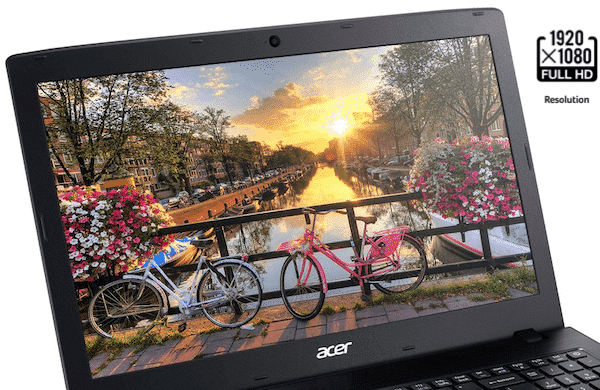 This not only paved way for the prices of laptops to come down, but also marked the new standards in even the budget-friendly laptops such as our current Acer Aspire E15 E5-575-33BM laptop. 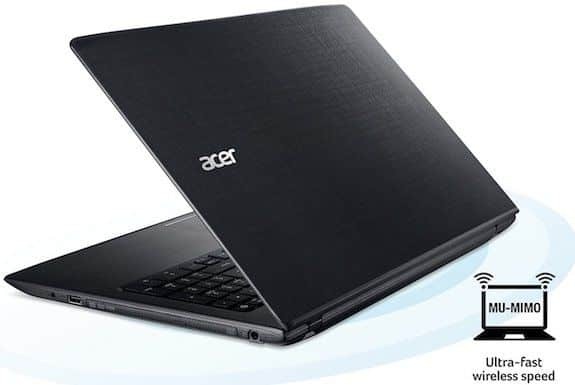 Acer, as always has delivered a solidly performing laptop in the global market. And the best part is that the laptop costs you just around $350. The laptop was launched with a lot of expectations to compete against the already crowded under $500 segment. Now looking at the sales and user feedback of the Aspire E15, it is evident that the laptop has certainly stood up to its expectations. It apart from packing in all the latest set of specifications, also comes in a stylish and premium looking chassis, which gives it an edge over its competitors. Thanks to all the aforementioned aspects and huge response from the users, we decided to have a look at this laptop, and this is what we feel of it. Acer Aspire E5-575-33BM takes a lot of cues from the previous Aspire series of laptops from Acer but has certainly got some improvements in terms of design and ergonomics. The laptop comes with an all-plastic exterior chassis but comes with a minimalistic yet aesthetic design. It comes in an all black colour variant with both matte and shiny finish, as a result of which the laptop gives an industrial feel, which most of the rigid users would aspire to have. Speaking of the dimensions of the laptop, it comes with the standard sizes as one would expect from a 15.6-inch laptop. It measures, 15.0 x 10.2 x 1.2 inches and weighs around 5.3 pounds. The laptop with that weight feels quite chunky, but thanks to its ergonomics, it feels easy to carry around. As far as the keyboard and trackpad on the laptop are concerned, we believe that the keyboard is the deal breaker for few here. The laptop comes with a mere 1.6mm of key travel space and an actuation of just 58-gram. 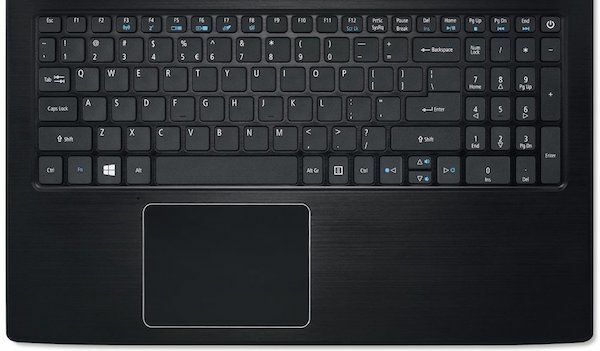 As a result, these keys doesn’t even sound near to perfection and is just passable by productivity-laptop standards. The keyboard is backlit enabled but the numbers on the keyboard can be quite misleading at times. We put the laptop’s keyboard to test on our typing tests on TypingTest.com and I managed to score around 116 words per minute with around seven errors, compared to 130 words per minute with around five-six errors on my MacBook Air. The trackpad also disappointed us quite a couple of times, by not taking the gesture inputs properly. On an overall conclusive note on the design of this laptop, it surely is a good looking laptop for the asking price but is slightly heavy with the keyboard and trackpad to blame for. The Acer Aspire E5-575-33BM features a 15.6-inch Full HD display with a standard resolution of 1920 x 1080 pixels. The laptop’s display comes with a matte finish on top of it, which is quite handy for long-term usage. However, we felt that the display of this laptop was very dull with just average viewing angles. Surprisingly, the laptop managed to score a very good, 143 percent in RGB colour ratio with the brightness measured around 190 nits, which is again sub par the segment considering the price. There is nothing much to really appreciate the screen quality on this laptop. On a lighter note, the display is just fine and will satisfy you if you’re a light user and doesn’t focus much on the screen detailing. Thankfully, the blacks on the screen were deep and evident. The laptop as mentioned earlier comes with a long list of powerful specifications for the asking price. 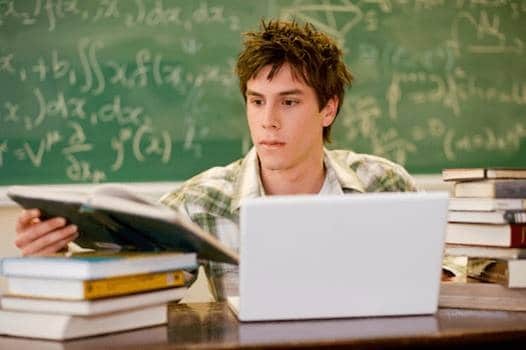 However, there are tonnes of other laptops out in the market with similar specifications. 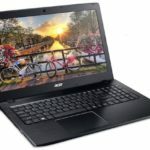 So what makes the Acer Aspire E15 unique? Well, it’s the latest seventh generation (Kabylake) Intel core i3 processor, which is the show stopper for this laptop. Under the hood, the laptop comprises of a 2.4GHz intel i3 processor paired with a decent 4GB of RAM. The amount of RAM ensures decent multitasking on the laptop and is convenient for almost all the daily essentials. The laptop comes with a massive 1TB of hard disk, which is another outstanding feature in the segment it falls in. The laptop comes with integrated Intel graphics for gaming and other graphics related aspects. Although the laptop is not primarily meant for gaming, the configuration it packs in is enough to run most of the decent games. The Aspire E5-575-33BM laptop comes with an 8X DVD-Super Multi Double-Layer Drive for data retentions on CD/DVD. Moreover, the drive is enabled with M-DISC, which makes it, even more, easier to transfer content. The laptop also packs in an SD card slot, to read data directly from an SD card. The Acer Aspire E15 comes with an HD Webcam supporting a resolution of 1280 x 720 with High Dynamic Range (HDR). We’d like to describe the Acer Aspire E15’s webcam in two simple words— quite average. Photos taken in bright indoor conditions was decent enough, minus the fuzzy images at times. Thankfully, the colours seemed fairly accurate. The camera is fast and the average time to capture a frame is quite less. All-in-all the camera on the Aspire E 15 E5-575-33BM laptop is quite manageable as it is quite enough for casual or professional video calls. Speaking of the available ports on this laptop, it comes with a standard 10/100/1000 Gigabit Ethernet LAN (RJ-45 port) for wired network connectivity. The laptop comes with a USB 3.1 Type-C lightning port for direct data transfers through a mobile or faster file transfers. 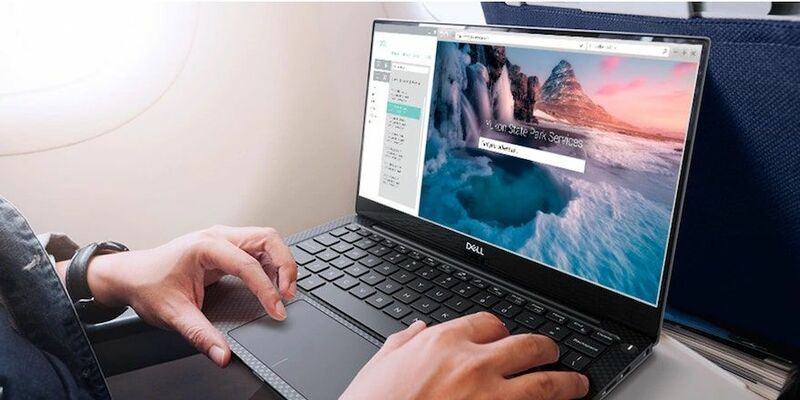 In addition to that, the laptop also comes with a pair of USB 3.0 ports and one USB 2.0 port for connecting peripherals or for transferring storage mediums. For all other entertainment and multimedia based usages, the laptop comes with one HDMI port, with HDCP support. The laptop runs Windows 10 Home variant out of the box. Windows 10 needs no introduction in the field of laptops and is currently the leading computer OS across the globe. The software is pretty stable and we personally felt that the hardware on the laptop is pretty well configured with the OS. That said, we never felt a lag or any stuttering or hiccups in the software performance of the system. In addition to all the advantages of Windows 10 such as app supports, Windows app stores, compatibility, productivity, and various others, it also comes with a set of Acer’s proprietary software such as Acer ExaColor, Skype for business and more. Performance wise, the laptop is top-notch! thanks to the latest hardware packed beneath the hood the Acer Aspire E5-575-33BM delivers a very stable and efficient performance even under continuous usage. It is because of the seventh gen of intel core processors, the laptop is able to provide a reliable performance without getting heated much. Yes, the laptop stays cool even after 6-8 hours of continuous usage. We used the laptop rigorously to stream Full HD and 4K videos, continuous browsing with around 15 tabs alive in Chrome, run benchmarking applications in the background, and listening to music simultaneously. The laptop to our surprise took all these tasks with ease and was delivering an uninterrupted performance. As far as connectivity is concerned, we faced no issues in connecting to both wired and wireless networks. Dual-Band on the laptop works very fine and the laptop almost overtime latched onto the network in seconds when enabled. On a conclusive note, the laptop delivers an absolutely powerful performance at the price-point it is available and is surely superior to almost all its competitors in the segment. As mentioned earlier, gaming on this laptop is quite ok. That said, since the laptop comes with an integrated Intel HD Graphics 620, the laptop delivers just average graphics rendering. 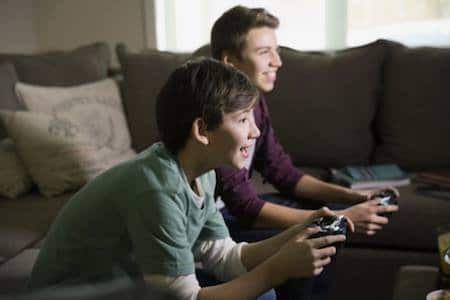 Although the laptop was able to handle graphics intensive benchmarking applications and flash players with ease, it struggled to handle high-end games such as far cry and fallout 4. If gaming is your primary requirement then this laptop is not for you. however, you can still play low-to-medium graphics enabled games on this laptop with ease. 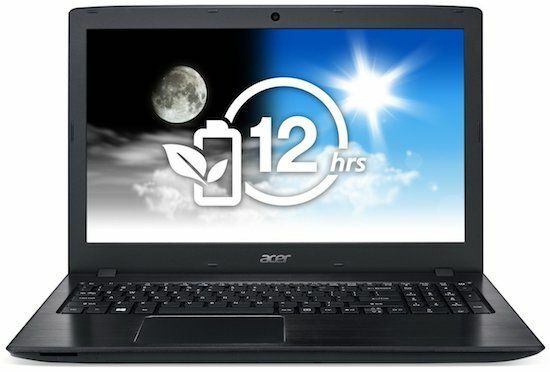 The Acer Aspire E15 E5-575-33BM laptop is touted to be one of the multimedia stationed laptop by the brand. I have expected some sort of outstanding performance in multimedia section due to the hype created by the company. Sadly, I was not impressed. Do note that the sound quality is still better than what you get at this price. But, in spite of the two built-in stereo speakers the audio output which we feel is a little low. The laptop comes with the Acer’s proprietary TrueHarmony to deliver lifelike rich audio along with a custom equaliser. However, the laptop was able to play even 4K and Full HD content with ease. We did not notice any lag or frame drops while playing high-end video content. Watching movies and videos on the laptop will be fun, thanks to its really long lasting battery backup and matte finished display. The Acer Aspire E 15 comes with a lithium ion removable 4-cell battery, which I believe is quite sufficient for a laptop this calibre. Accordingly, the laptop was managing to deliver about 8+ hours of battery backup, even after continuous usage. The laptop gets fully charged in 0 to 100 in just around 2 hours, which is great. In our video loop test, the laptop lasted for just under 9 hours of continuous playback which is a sign of positivity for all the multimedia enthusiasts. Acer Aspire E15 ticks all the right boxes and is a perfect combination of hardware and software. All the powerful innards and the decent looking outer chassis make this laptop feel and perform better than most of its rival. If you’re a gaming lover, then probably this laptop is not for you. But let me remind you, if you need a gaming laptop at around $350, then this can be termed as a class-leading gaming performer as well! With all that said, you just can’t get any other better performing laptop at $330. A couple of things this review left out was how easy it is to upgrade RAM memory. You can go up to 32GB and it takes about 2mins to open the laptop (without voiding the warranty!) Pop in the extra memory and done. Also an M.2 ssd can be added just as fast. The one thing I am disappointed in is the actual battery life I’m experiencing. Even though I followed Acer’s instructions for prepping the battery (fully charge before using. Run battery completely down and recharge & repeat 3 times) I am still only seeing about 5hrs of actual battery life. Even if I use the battery saving mode! All in all though, $349.00 for the laptop, $25 for the extra 4GB ram $90 for the m.2 ssd for a total of $465 & ima very happy camper! Thanks for adding up your experiences with this laptop in our review Patrick! That would surely help someone to decide on this laptop.